Gift Boxes to Colour and Make: A Year of Celebrations is published and was very kindly sent to me to review by Nosy Crow Publishing. This book is unlike any other because it’s not a normal colouring book, each page is a gift box which can be removed and folded into a box to gift to friends and family, this is the third in the series with a Christmas-themed one available HERE and a Birds and Blossoms one HERE. The book itself is paperback with flexible card covers, it’s just under 30cm square and has a pale blue cover with splashes of pinks and dark blue, and gold foil accents. On the inside cover are diagrams and written instructions about how to remove and fold the boxes and on the back inside cover are three recipes so you can create edible treats to go in your boxes – Peppermint Chocolate Truffles, Gingerbread Men, and Coconut Macaroons. The spine is glue and string-bound making it durable but it’s also quite easy to press flat so that you can colour the whole box, or remove it via the perforations before colouring if you find that easier. Each of the 24 pages contains one double-sided box with different matching designs for each of the sides and the inside base and then a small repeating pattern on all of the other edges, there’s heaps to colour in on each one! The card is medium thickness, bright white and lightly textured so it’s perfect for pencils and water-based pens which didn’t bleed and only slightly shadowed with the darkest colours; alcohol markers will bleed so I’d avoid using these. The perforations are well-made and the parts do mostly come out easily, I would advise caution as a very small section of my actual box started splitting so you may prefer to use the perforations as a guide for scissors or just work slowly, a few of the parts have quite large perforations which do leave large bumps rather than smooth edges on the box but again, these could be tidied up with scissors if you wish. The boxes are individually designed and contain themed illustrations to celebrate various celebrations as well as some more generic designs that could be used for any sort of gift, the themes include – Valentine’s Day/Anniversary, Easter, male and female themed cards, birthday, and Christmas. The content is very wide ranging from cars to swans, snowmen to deer, balloons to cakes, kites to flowers, Christmas trees to shells, stars to boats and so much more, this is by far the widest ranging content of any of the three gift box books now published. The images are very cute and have a naïve quality to them which makes them look really charming and they’ll look lovely coloured by adults or children and gifted to others. At the back of the book is a page of gold foiled stickers each with lines on where you can write names to and from, and each with a small celebration-themed motif. The set is really well-made and thought out, this book is produced by the same publishing company who created the Colouring Books of Cards and Envelopes so you can be assured it’s good quality though the illustrations are created by a different artist (Eilidh Muldoon) from those (Rebecca Jones) and the other colouring gift box books (Sarah Walsh and Felicity French). In terms of mental health, I think this book of gift boxes is pretty great because it offers up a project with a very clear purpose and end point, ideal for those of us who struggle to get motivated or see the point in things sometimes. Sharing is always good fun and when colouring these boxes you know you’ll be sharing the love with someone you care about and that’s a great thing to be able to do! The line thickness is consistent throughout and is thin. The intricacy and detail levels are pretty high with lots of small sections so these boxes will only really be suited to those of you with good vision and fine motor control. The boxes take ages to colour so you’re certainly getting lots of colouring hours for your money, however, each box consists of lots of small colourable parts which is ideal for any level of concentration or amount of symptoms, you can colour for 20 seconds doing just one or two flowers, or hours and hours doing the whole internal repeating pattern or somewhere in between. The images on the boxes are sure to get you in the mood for any celebration. These boxes will be perfect for sharing treats with family and friends and they can be filled with small gifts or sweets or chocolates and they’ll be the perfect packaging for anything handmade, the possibilities are endless! Overall, I would highly recommend these colourable gift boxes, there’s loads to colour on each one and they’re sure to be received well, they give a wonderful personal touch to whatever gifts you decide to put inside them. You can find the other two gift box books here. The box below was coloured using Stabilo Point 88 Fineliners and Stabilo 68 Fibre-Tip Pens. Five Years On – Five Years Of…..
Would You Wish Away Your Mental Illness? 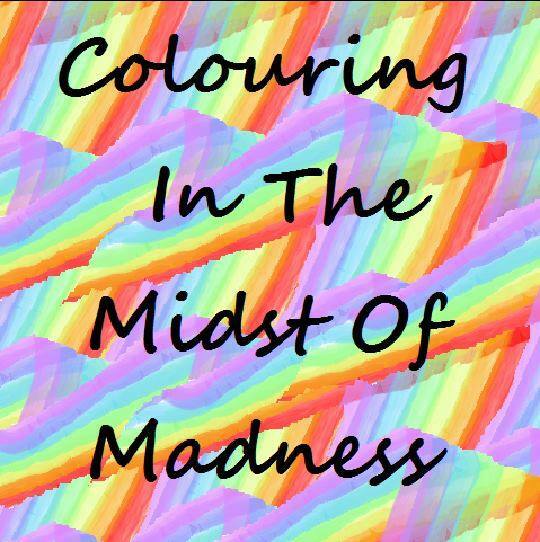 Visit my Adult Colouring Blog here.